The league pushed back on a report that it didn't ask for footage until just days ago. 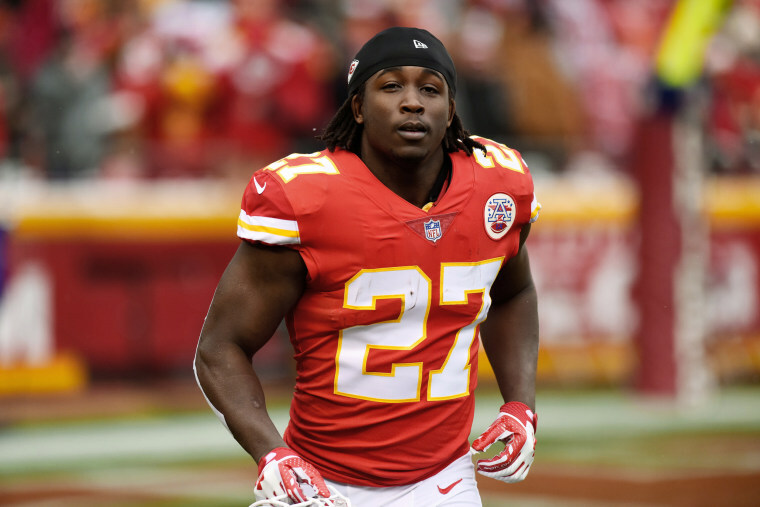 The NFL on Tuesday insisted it asked Cleveland police, months ago, for security video that ultimately showed star running back Kareem Hunt kicking a prone woman. The league was pushing back on a report by Kansas City ABC affiliate KMBC, which said the NFL didn't request the Hunt video until Friday — the same day TMZ Sports first posted the troubling footage. The list of records requests posted by KMBC notes one from a"“Greg T' in February, but there is no company affiliation listed. KMBC said they asked the NFL if "Greg T” was a representative of theirs but the league was unaware of who that person might be. In the video, Hunt was seen kicking a woman who had just been knocked down during a February, 2018 skirmish outside his luxury hotel apartment. Hours after the video emerged, the NFL suspended Hunt before his team and then the Kansas City Chiefs cut him. The 23-year-old Ohio native, led the NFL in rushing yards as a rookie last season and was listed as the number 5 rusher in the league so far this year before he was cut. Hunt has been compared to Baltimore Ravens running back Ray Rice, who was caught on surveillance tape in 2014 punching his then fiance and now wife, Janay Palmer, in an Atlantic City hotel elevator. Baltimore released Rice after the video came out and never played in the NFL again.